In the early morning hours on this date in 1943, Jarmila Zivcova, her husband Vaclav Zivec, and their friend Ruzena Kodadova were beheaded in Berlin. These Czechoslovakians had been condemned for complicity in the assassination of Reinhard Heydrich. My dear Jiri, keep this picture, kissed thousand times, in memory of your mother who found solace in it even in the saddest moments. We have seen our best friends go — Rosa Kodakova, Jarmila Zivcova, and many others. We can hear the severed heads crash onto the floor. We hear every detail in the vicinity of our cell. We hear the gate of the preparation cell open, then the executioner’s footsteps to the door; we hear his helpers grab the victim, shove her on the wooden bench, and cut off the head. Then they carry the body away without a head. They place the body in a rough coffin, their chopped-off head thrown between the dead man’s legs. The whole thing is then transported away somewhere for burning. By now we all know the whole story by heart. Last Hours of Reese Evans. On Friday last, at 1 o’clock, P.M., the youthful murderer, of whose trial and conviction I gave brief sketches, for the benefit of the readers of the TIMES, a few months since, suffered the extreme penalty of the law. Soon after his conviction, he made a full confession of his guilt, and professed, to his spiritual adviser, contrition for the enormous crime. He also had prepared a history of his life, disclosing many other brutal adventures in wickedness, to be published after his death. During the greater portion of the time subsequent to the arrival of the warrant for his execution, he gave himself but partially and unsteadily to the work of preparation for death. Small events diverted his attention, and interrupted his progress. He was a perfect stoic, and his heart seemed frozen. He would talk of his numerous sins with no apparent emotion. He seldom wept or sighed. He seemed to have the most perfect control of his feelings. The last few days of his life were spent in solemn preparations for his end. He spent much time in prayer, and seemed desirous to do his utmost to wipe the stain of blood from his soul. He had an interview with the widow of the murdered man, which was truly affecting. Evans covered his face with his hand, and seemed to struggle against his feelings. This scene transpired on Thursday, before noon, just after he had received holy baptism. He had the company of several ministers alternately throughout the night. On Friday morning he received the holy communion — his father, sister and brother being present. It was a deeply affecting season, and yet he merely moistened his eyes with a tear or two. He took leave of his counsel, and of his friends, with a little increased evidence of feeling. He was disturbed with the prospect of more spectators than he desired; but was directed to loo to God, before whom he would soon appear, and pay no attention to surrounding circumstances. He chose not to be dressed in his shroud, but to die in his ordinary dress. He walked out of his cell into the yard, and ascended the scaffold without faltering. He was seated upon a stool, which he occupied during the religious service. The Sheriff descended, and with a firm nerve gave note of the time, during which Evans stood erect, praying in a low tone, but so as to be heard. At length the drop fell, and he was launched into eternity. Evans was a few weeks past eighteen when he murdered the Jew, Louis Reese, in open day, for the purpose of plunder. How a mere beardless boy should attain such a desperate daring has been to many a profound mystery. His own disclosures show that he did not become a murderer by a sudden impulse, but that it was by commencing early and taking terrible strides in vicious conduct, that he, so early in life, became a giant in wickedness. His penitence, although unattended by the usual signs of mental anguish, seemed deep and sincere. He had to struggle against habits of thought and feeling which had become imbued in his nature; and made great efforts to resuscitate a conscience which he had well-nigh succeeded in annihilating. This was hard work; and the process was slow, and attended with results but too dubious, down nearly to the day of his execution. The story of this young man is briefly this: His father was a drunkard when he was a child; he forsook his family, and his mother became insane. He was partially cared for by strangers, from the age of seven to that of eleven. After this he wandered about, having no home or steady employment. He early commenced a system of thieving, to meet his necessities, and proceeded, from step to step, until he reached the climax of wickedness in cold-blooded murder; and ended his career upon the gallows. The history and fate of this young offender furnish a terrible warning to intemperate and negligent parents, as well as to idle and reckless young men. Small beginnings in crime may soon reach a fearful magnitude. The boy who steals a pen-knife may die by the halter before he is twenty! From the Boston Morning Journal, Sept. 9, 1902. Bailey’s Murderer Executed Just After Midnight. Assisted the Guards and Uttered Never a Word. Dreadful Current Did Work Swiftly and Surely. John C. Best was put to death by electricity this morning at Charlestown State Prison at 12.22 o’clock, paying the supreme penalty of the law for the murder of George E. Bailey of Saugus on Oct. 8, 1900. He maintained the air of coolness, and even indifference, which has marked his conduct since his arrest, to the the [sic] last. 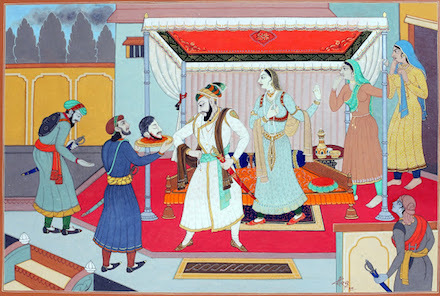 He walked to the chair unassisted and without even being held by the guards in attendance; sat down composedly, as one would waiting for a train at a station; assisted the guards even in the operations of confining his hands and legs, and awaited the shock of the current in perfect composure. He had no word to say at the end, uttered no groan, and was pronounced dead by the attending physicians at 12.27. The witnesses were Dr. Joseph F. McLaughlin, prison physician; Dr. Robert A. Blood, Surgeon General of the State; Dr. George Stedman, Associate Medical Examiner of the District; Deputy Sheriff William Cronin, the presence of whom is prescribed by the Statutes; Rev. I. Murray Mellish of Salem, attending to the spiritual wants of the prisoner, and a representative of the press. The crime for which Best was executed was the murder of George E. Bailey, the caretaker of Breakheart Farm, Saugus. The murder took place in October, 1900, and Best was condemned by the Superior Court sitting at Salem June 14, 1901. 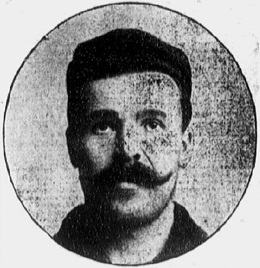 In the early part of October, 1900, Bailey was missed. Best was employed on the farm, and his replies as to the whereabouts of Bailey gave the impression that the missing man had gone to Maine. Inquiry failed to locate him, and until the morning of Oct. 17 nothing definite was known of his whereabouts. On that morning the dismembered body of a man was found in Floating Bridge Pond, the mutilated torso encased in a sack. Later the arms, legs and head were found and the body was identified as that of George E. Bailey. Suspicion pointed toward Best, and he was arrested Oct. 18, the day after the gruesome find at the pond. He appeared in the Lynn Police Court Oct. 20, and was remanded to Salem Jail, pending the hearing, which was held Nov. 8. Judge Berry of the Lynn Police Court after a prolonged hearing, found “probable cause,” and Best was sent to jail to await the action of the Grand Jury which, on Jan. 25 following, indicted him for murder. Best was arraigned in the Superior Court Jan. 30, and entered a plea of not guilty. The trial began March 18, and continued until March 29, when a verdict of murder in the first degree was rendered. The prosecution was conducted by Attorney General Knowlton, District Attorney Peters and his assistant, Roland H. Sherman. Best was represented by James H. Sisk and N. D. A. Clark of Lynn. The day after the verdict was returned, counsel for Best filed exceptions and offered a motion for a new trial. Oct. 18 counsel conferred with Presiding Justices Sherman and Fox, and on Nov. 23 the exceptions were approved and allowed to go to the Supreme Court. A hearing was given in the Supreme Court Jan. 6, 1902, and on Feb. 27, a rescript overruling the exceptions was filed. March 29 other exceptions were taken to a denial of amotion for a new trial, and the Supreme Court heard the arguments on May 19. After the exceptions in this case were disposed of a motion for a new trial was made upon the ground that one of the jurors was deaf. Evidence was put in on the subject before the Judges who had taken part in the trial, a portion of the evidence being an examination of the juror himself. The motion was denied, the Judges stating that they were satisfied that the juror heard substantially all the evidence. The argument addressed to us is a pure argument of fact as to what the proper finding would have been, a question with which we have nothing to do, and upon which the Judges considered not merely the testimony reported but what they saw at the time, as it was proper that they should. Assuming every proposition of law that could be urged in favor of the defendant, there is no ground for an exception. After the first motion had been overruled another motion was made that the hearing be reopened and the defendant be allowed to introduce further evidence, cumulative in character, being the testimony of a doctor who had been consulted by the juror a little more than three months before the trial. The Judges refused this motion on the ground that the doctor’s statement did not change their opinion. The defendant’s counsel again attempted to save an exception. Apart from what else might be said, the same answer may be made to this as to the other exception. It is perfectly plain that the defendant had no ground for bringing his case here a second time. Exceptions overruled. All that could be done by devoted counsel to save Best from death sentence has been done, save an appeal to the Governor for a commutation of the final decree of the Court this forenoon, and it is understood that this will be made. I was born near Goshen, in the state of Connecticut, about the year 1793. My father was a show-man, and his business leading him much from home, I was neglected, and suffered to follow my own inclinations … I chose for my companions the most vicious boys, and spent most of my time in quarrelling, fighting, sabbath-breaking, and other vices. I was indeed sent to school a short time; but, disliking restraint and study, made but little progress in learning. Thus by parental neglect on the one hand, and bad example on the other, were sown those seeds of vice, which, as will be seen in my narrative, produced such a dreadful harvest of crimes. -From the Narrative of the life of James Lane: who was executed at Gallipolis (Ohio), September 9, 1817, for the murder of William Dowell, with some observations on his behaviour under condemnation : to which is added the address of the court, on pronouncing sentence of death upon the prisoner. The gallows narrative commenced thereby will arrive on this date in 1817 at a hangman’s tree in Ohio. But it begins, as is customary, delving into the miscreant’s youthful forays into theft, through which he soon “stifled the voice of conscience, which cried against it.” He suffered 10 lashes at the public whipping-post of Litchfield for robbing a schoolhouse of books, and had a couple of close brushes for his habit of walking into unattended farm houses and making off with clothes. Catskill, [where] I fell in with one Church, as hardened as desperate as myself. We formed an acquaintance with each other, and travelled together to a place near the city of New York. Here we went into a store to buy some small article; and the store keeper suspecting our money to be bad, I flew into a violent passion, snatched the watch from his pocket, and stamped it under my feet. Church then seized a scythe and drove him out of the door. We then locked ourselves in and in spite of the danger which threatened us, ate and drank our fill of the good things we found. 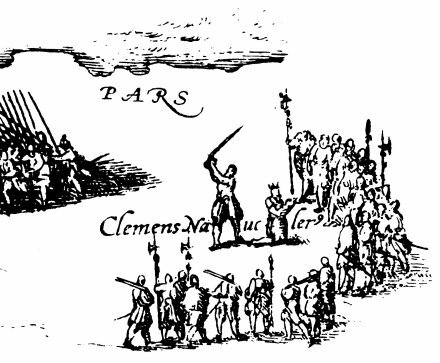 By this time, a number of people had assembled in the chamber over our heads, and were making their way down the trap door to take us. Hardened, insensible, and enraged with liquor and passion as we then were, it would have been no wonder if we had put fire to some barrels of powder there. This we might easily have done; but either did not think of it at the time, or were prevented by some other circumstance. I thank God for preventing this dreadful crime; for preserving my life and the lives of so many people as would have been thus destroyed, and giving me a space for repentance. 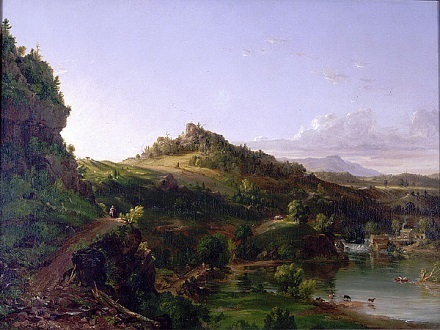 But it seems so idyllic in Thomas Cole’s 1833 “Catskill Scenery”. The next morning I went to his house, or shed, about six miles from Gallipolis, on my way to Chillicothe, entered, sat down, and talked in a friendly manner with him and a female slave, his house keeper. I then walked on to Mr. Ryan’s, about a quarter of a mile from Dowell’s, where the latter soon came in to buy some meat. We were both asked to breakfast, and accepted the invitation. When Dowell had paid for the meat, I perceived that he had about forty dollars left. To possess myself of this, I resolved to commit the horrid crime of murder! and this on a man who had never done me any injury, whose house I had entered an hour or two before as a friend, and been treated as such, and with whom I had just partaken at the table of the bounties of Providence; and not only on him, but on the woman also, and her four children, and then set fire to the home. Astonishing and incredible wickedness!!! Six human beings were to be sent to their final account, in a sudden and awful manner, and perhaps unprepared — and for what? That I might have a few dollars to throw away, or worse than throw away, as I had done with all my former ill gotten money!!? I can plead no excuse. I was able to work, and not ashamed to beg, till I could find employment. — Shall I say I was urged on by the devil? No doubt I was; but his temptation could have been of no avail, if I had not lent a willing ear to him. I had never resisted him. I was completely his slave! Just, I repeat it, is the sentence of death pronounced against me!! Lane executed his exclamation-mark plan that night, stealing a cudgel from yet another farm and slipping back to ol’ Moneybags Dowell’s. When the house was asleep, he crept into the house and to Dowell’s very bedside, and slew him unawares with a mighty two-handed smash. The blow woke Dowell’s slave — who is never referred to by name in this narrative — and after a struggle she managed to escape out the door and elude her murderous pursuer, and we presume her four children did likewise since they were also not murdered. When Lane returned to the emptied Dowell house, he could find no money — “for it since appears he had left it with Mr. Ryan.” He fled over the river into Virginia (today West Virginia), but was captured a few miles away, and as will be readily perceived, was thoroughly worked over before his execution by the local divine. Since a small town like Gallipolis (population as of the 1850 census: 1,686) didn’t exactly have regular traffic to the gallows, this was a big occasion for the ministers as well. To Lane’s confession, the Rev. Gould appends a two-page summary modestly reviewing his soul-saving offices. Lane’s own biography traces the classic gallows narrative, from sabbath-breaking to the noose; the like formula for Gould’s review ought to be taking Lane from his initial condition, “destitute of all religious knowledge, insensible of his sinfulness, and unconcerned about futurity” to the hope of eternal salvation. The evening before execution, like careless sinners, he was unwilling to be disturbed with the thoughts of his unpreparedness and danger. He said he had left off swearing, and had prayed a good deal; and therefore believed that God would pardon him. This appeared to be the foundation of his hope to the last. On the day of execution, his sensibility nearly or quite left him. He appeared not to realize his situation. When he was first placed upon his coffin, at divine service, however, he was affected … [but] on the gallows, he expressed his willingness to die, saying he had made his peace with God; but manifested little sense of the importance of death and of eternity. 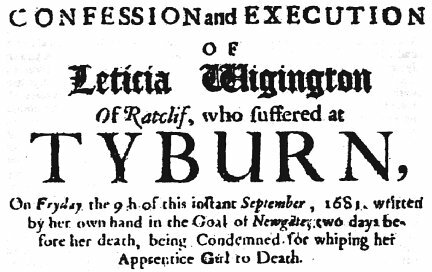 On this date in 1681, Leticia, Letitia, or Laetitia Wigington was hanged at Tyburn for beating her apprentice to death. A case that would presage the next century’s better-remembered Brownrigg outrage, the Ratcliff Catholic coat-maker Wigington and her lodger John Sadler took five quid from one of Sadler’s fellow-sailors to apprentice their daughter. stript the poor Child barbarously and immodestly stark naked, and [Wigington] held her and ram’d an Apron down her Throat, to prevent her crying out, and the foresaid [Sadler] most inhumanely whipt her for 4 hours or more, with some short intervals of their Cruelty, and, having made her body raw, and all over bloody, sent for Salt, and salted her wounds, to render their Tortures more grievous. Of which Savage usage she dyed next morning [i.e., Christmas]. 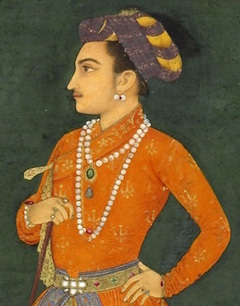 Sadler fled, and was on the run for nearly a month; he was sentenced to die on February 25 and specifically prohibited from pleading for royal pardon before his March 4 execution. Wigington got off a little “easier”, pleading her belly after a January conviction and delaying execution all the way to September 9. That’s quite a wait — a suggestive wait, one might think, though no actual record remains to confirm that Wigington left a little bundle of joy behind her to the world’s cat o’ nine tails. For her part, Wigington went to her death asserting her innocence — “as the Child unborn” — and denouncing her enemies for inducing her “Apprentice Rebecca Clifford by name, who was not full 12 years of age, to swear against me” falsely. 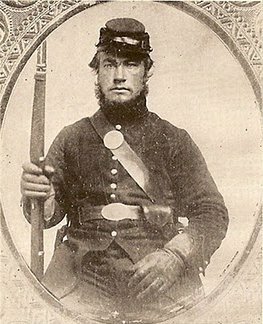 On this date in 1861, Vermont private William Scott of the new-formed Army of the Potomac, then fortifying Washington D.C. for the unfolding Civil War in the aftermath of Bull Run, was led out for execution for having fallen asleep at his post. The so-called Sleeping Sentinel took a sick comrade’s watch even though he himself was bushed, and … well, you know the rest. Condemned for a dereliction of duty which “may endanger the safety of a command, or even of the whole army” (the words of the army’s commander Gen. McClellan), Scott still attracted widespread sympathy due to the obviously sympathetic nature of his situation. He was a youth new to war, with an exemplary military record outside of his forty winks. Appeals went straight to the White House, which was conveniently located in the Army of the Potomac’s back yard, and freshman president Abraham Lincoln magnanimously spared the lad. This exhilarating climax did not long stay the hand of the Reaper, as it transpired. Scott died in battle the following spring. In death he lives on, as befits the habitues of these pages: fellow Vermonter Lucius E. Chittenden, who was serving in the U.S. Treasury when all this sleeping sentinel stuff went down, commemorated William Scott for posterity in a subsequent entry to the merciful-Lincoln mythology, a postwar volume titled Lincoln and the Sleeping Sentinel. The story was also made into a 1914 silent film, which sadly doesn’t seem to be available online: but never fear, this syrupy poem will amply represent our Sentinel’s contribution to the canon. While war’s inexorable law decreed that he must die. A statesman of commanding mien paced gravely to and fro. On brothers armed in deadly strife: it was the President! Of that poor soldier, as he lay in prison, doomed to die! 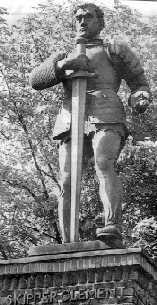 A sad procession, o’er the sward, moved to a muffled dirge. In manacles, between two guards, a soldier had his place. That smote his gallant heart with dread, and shook his manly frame! He took his station by its side, abandoned to his fate! He saw a nameless grave; and then, the vision closed-in tears! And, shuddering, he awaited now the fatal volley’s sound! And, rolling through a cloud of dust, appeared a stately coach. And from a thousand voices rose a shout which rent the air! And, bounding from his fetters, blessed the hand that made him free! A few letters from Scott’s own hand are preserved here. A (defunct) mini-blog exploring the case in detail can be perused here. * There was actually American precedent for this sort of stagey non-execution in a case from the War of 1812. On this date in 1986, African National Congress cadre Andrew Sibusiso Zondo was hanged in Pretoria nine months after bombing a shopping center near Durban, with five white fatalities. Zondo claimed he had intended to non-fatally target the South African Airways office at Amanzimtoti’s Sanlam Centre, but couldn’t find a functioning, available telephone in time to phone in his attempted bomb warning. Did we mention that he was 19? Zondo, it turned out, had been radicalized by South African security forces’ indiscriminate violence against claimed ANC “strongholds” — and specifically by a still-infamous attack, the “Matola raids,” on neighboring Mozambique. The apartheid regime wasn’t out to win hearts and minds. And it didn’t. The bomb (actually a mine) was planted three days after a South African raid on Lesotho. One of Zondo’s accomplices later turned state’s evidence in exchange for immunity. Both the ANC, which had an official policy of avoiding civilian casualties, and Zondo himself portrayed the affair as a regrettable rogue operation carried out unofficially by an understandably frustrated cadre. Two other persons suspected of being involved in the Amanzimtoti blast, Mr Phumezo Nxiweni and Mr Stanley Sipho Bhila, were [extrajudicially] executed by Security Branch members after they were acquitted in court … At Andrew Zondo’s memorial service, his brother was so severely assaulted that he developed epilepsy, which subsequently killed him. Two mourners were shot dead leaving his parents’ home after the memorial service. Lembede, one of the security policemen involved in the killing of Zondo’s alleged accomplice, was himself later killed, allegedly by members of MK. Hanged along with Zondo were two unrelated ANC cadres, plus three unrelated common criminals. I have no information about the criminals, but the other revolutionaries to swing were Clarence Lucky Payi and Sipho Brigitte Xulu (or Sipho Bridget Xulu — but a guy, by either name). Payi and Xulu assassinated another ANC agent, Benjamin Langa, the brother of present-day South African Chief Jutsice Pius Langa. A murky affair by any standard, and one that may not be entirely buried. There’s been some attempt (hotly disputed) to establish a sinister (if vague) alternate hypothesis linking current South African President Jacob Zuma himself to the Langa murder.